Meet Dot a BallyCara Wellness Program member and her dog Missy. Each morning Dot and Missy go for a walk together. However recently Dot was finding that she was getting pain in her hip, back and shoulder from Missy pulling while walking, affecting the amount of exercise Dot could do in the gym. 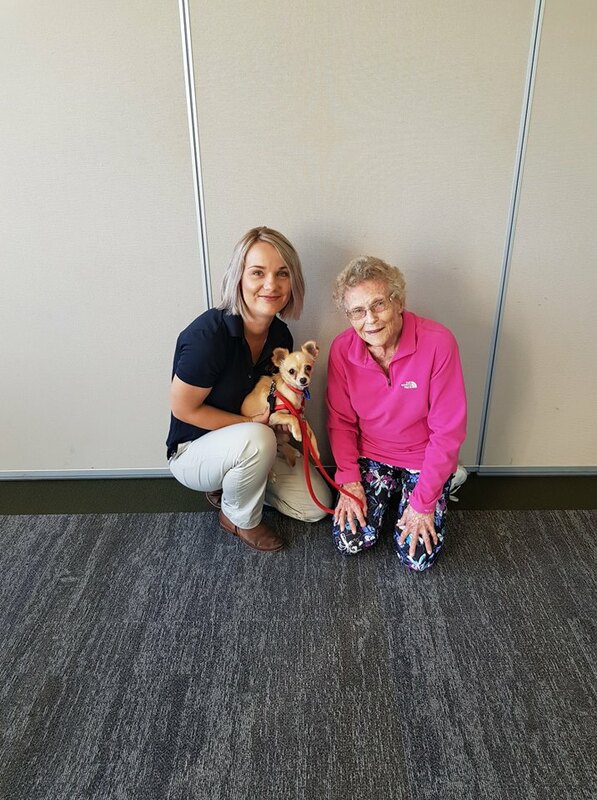 One of our BallyCara Exercise Physiologists with Dot sourced a chest halti for Missy to help manage Dot’s symptoms of pain and enhance her overall sense of well-being so both Dot and Missy could continue going on their morning walks. By sourcing this chest halti for Missy our Exercise Physiologist has enhanced and continued Dot’s healthy living journey painfree.